I am so excited about this year’s field at the 2014 AT&T American Cup. It is quite a female field, full of fan favorites! A combination of very talented women who each stand out in a crowd on their own merits. I could (and will) go on about every one of these women and why they stand out in the world of women’s gymnastics. I am so very excited to see them in person at the AT&T Cup! Canada – Victoria Moors – known for her incredible dance and the highest level of tumbling, watching Victoria on floor is a rare treat. Italy – Carlotta Ferlito – full of personality and growing into an ongoing international presence in the midst of her tv superstardom, Carlotta is becoming more fun to watch every meet. Italy – Vanessa Ferrari – Vanessa is one of the most well respected women in women’s gymnastics. She just keeps on going. She is a joy to watch on floor and beam, and seeing her on the floor in general is a piece of history. Romania – Larisa Andrea Iordache – Larisa is without a doubt one of the best in the world on vault. Her floor routine has become one of my very favorites. Spain – Roxana Popa Nedelcu – Roxana has quickly garnered attention with her brave, athletic and sparkling style. Switzerland – Giulia Steingruber – is one of the most innovative bar workers in the world. Her attitude makes you love her and just want to see her get better every year. It’s hard to say who the ACTUAL Americans will be. Hopefully, we will see our two World Champions! The 2014 Elite season is beginning to ramp up with qualification meets. And though the first “big” meet of the year is still a month and a half away, it is at least drawing close enough that you can see it in the distance! Here is the schedule for the elite meets and the National Team Training Camps this year. Jul. 31-Aug 2 Secret U.S. Classic/Challenge TBD – I am sure it will be televised, not yet listed. Oct. 3-12 World Championships Nanning, China – I am sure it will be televised, not yet listed. Following tomorrows floor finals, I am sure the never ending debate about the loss of artistry in women’s gymnastics will once again take center stage. Has the ever increasing difficulty needed to be competitive in today’s gymnastics cut out all the artistry? Have we lost the artistic in artistic gymnastics? People’s personal opinions of what is artistic often vary widely. But in general, when people are referring to artistry, they generally mean ballet like dance and movement. The classical, elegant and graceful movements usually reserved for the ballet stage including an incredible toe point, stick straight legs and graceful arms on every event. Some people say gymnastics is heading in a great direction. If they wanted to watch ballerinas, they would go to the ballet. They love the incredible feats of tumbling and power. The more vocal contingent bemoans the loss of classical gymnastics and the beauty and grace combined with tumbling and power. You see, the code of points does not ask the gymnasts to dance like ballerinas. It asks them to PERFORM their routines. To create original elements, movements and themes and then to express and interpret their music well. Let’s look at some examples. Viktoria Komova, an undeniably beautiful dancer with a dreamy toe point and graceful movements fits most peoples’ idea of artistry just perfectly. But throughout her senior career, Komova has often failed to perform her floor routine with feeling or expression and rarely did she interpret the music. She just went through the motions relying on her classical training with very little actual performance. This is not artistry! Now compare this to her performance in all-around finals. She hit every movement to the music. She had dramatic flair. You felt the beauty and the passion of what she did. Now THAT was artistry! Aly Raisman, undeniably the best female tumbler in the world with a tumbling pass that shouldn’t even be possible does NOT fit most peoples’ definition of artistry. Even when her legs are actually straight, they look kind of bent and her toe point is far from dreamy. Her movements are all about amplitude and power not grace and beauty. But lets pass her routine through the checklist above. Creative composition and originality of movement: A modernized version of a Hebrew folk song used for Jewish celebrations – original, creative, celebrating her culture. Check. Expressing the theme of the music through movements: Aly actually does movements from the original dance in her routine. You feel like you could be at a Jewish wedding when you watch her! Check! Variation in rhythm: Check. Relationship of movement to music: Every movement is on beat and perfectly timed. Check. Aly may not fit our idea of a classical dancer. But according to the code, she is absolutely artistic. The list could go on and on. Jordyn Wieber has some of the best musicality of this code. She interprets and expresses her music perfectly from her toes, to her eyes, to the energy in every movement. When you watched Ana Porgras of Romania, you truly felt like you had gone to the ballet. Aliya Mustafina in 2010 captured you with every movement, the look in her eye, the flick of her wrist. Lauren Mitchell brings some of the most original and creative floor work into this quad. All of these are great examples of artistry. All of these are very different types of artistry. Perhaps what the true debate is over Soviet dominated gymnastics verses the addition of other major players. Ballet is at the heart of the Russian culture, the undeniable leader of women’s gymnastics for decades. Of course it would come through in gymnastics! Other countries followed suite to be competitive. But eventually, the cultures of other countries who were becoming major players began to creep in. A country like China is not known for it’s ballet, but for its high energy, dynamic and acrobatic movement. The USA is a country that celebrates variety and individual expression, but most of all power and athleticism. Romania loves to include routines that seem to show Romanian heritage. There are many questions and controversies over what the code is and what it should be. But as we head into Floor Finals tomorrow, lets appreciate the various TYPES of artistry that we see. After all, that is what the Olympics are all about. Appreciating and experiencing many different cultures. Last year’s World Championships displayed one of the best Floor Finals in many years. Here is hoping this will be the same! Then there’s the E score– E is for execution. This is like the perfect 10 of old. You start at a 10 and are deducted for mistakes. These deductions are larger than they used to be, so this is why these scores are much lower than they used to be. What’s the format of the competition? Things will kick off on Sunday with Qualifications. As the title implies, this round of competition qualifies gymnasts and teams on finals. This year only five members are allowed on each Olympic gymnastics team. Four of those five members will compete on each event, and the scores obtained at prelims will qualify them on for the rest of the competitions. The top eight teams from qualifications will advance on the team finals on Tuesday. In the team finals, each team will put up three gymnasts and all three scores will count (often referred to as 3-up 3-count). Here’s more on the contenders. The top 24 gymnasts will advance on to the finals with the exception that only two gymnasts per country can advance on. The finals will be on Thursday 8/2. Here’s more on the medal hopefuls! 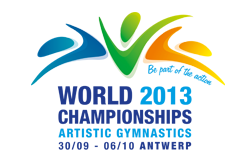 The top eight from each apparatus will qualify into the Event Finals held next Sunday, Monday and Tuesday. Once again, only two gymnasts per country are allowed on to each of the individual competitions. Follow the link for the hopefuls on each event: Vault, Bars, Beam and Floor. How will the Olympics Work? Things will kick off on Sunday with Prelims. 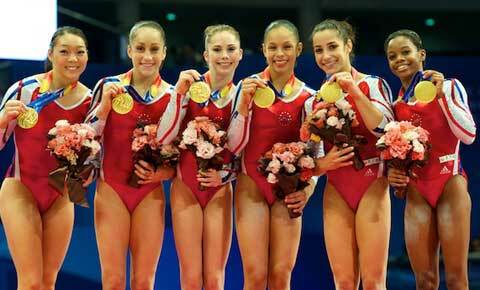 This year only five members are allowed on each Olympic gymnastics team. Four of those five members will compete on each event, and the scores obtained at prelims will qualify them on for the rest of the competitions. These are team finals (Tuesday), all-around finals (Thursday) and event finals (Next Sunday, Monday and Tuesday). Only two gymnasts per country are allowed on to each of the individual competitions. When Can I See Gymnastics? This year NBC will be live streaming every Olympic competition on NBCOlympics.com if you have a qualified cable subscription. It is VERY important to verify your sign in before things get started! Do that here. Not only can you watch it live, you can choose which event stream to watch and catch every routine you want to see! USA Prelims will be at 9:45am EST on Sunday, Team Finals 11:30am EST on Tuesday and All-Around Finals at 11:30am EST on Thursday. All events will be on Prime Time that evening on NBC. The US won the 2011 World Championships by a huge margin. We have incredible depth in the all around as well as a large advantage on vault. There’s this magical vault called the Amanar that has an extra 1/2 twist than the vault most gymnasts are competing. It adds .7 to the start value (the D Score of vault). Most countries are struggling to have any gymnasts that can currently perform the vault. The US will perform an amanar for every vault counted during the Olympics. That ends up being a 2.1 advantage over most other countries in Team Finals if they aren’t able to put up Amanars. But there are a lot of Amanar rumors going on from other countries. In addition, the US has been weak on bars. The US has great chances. But the competition will be fierce this year. Who is our team competition? For a deeper run down, check out my post Who’s Who in 2012: The Team Contenders. Russia was incredibly strong in 2010. The USA dominated in 2011. Russia’s amazingly fierce and talented Aliya Mustifani was out last year and their other top gymnast was not at her peak. With both of them back, plus a strong new senior there is every expectation that they can bring a battle for gold. Romania has come from behind and is putting the pressure on. They beat Russia at the European Championships this year and just keep getting better. China continues to be strong. Not as strong as they looked in Beijing, but they still factor in to the mix. Check out these posts if you are interested in Who’s Who in the all-around or on vault, bars, beam or floor. Who are the USA’s gymnasts? Kyla Ross: Kyla comes into her senior year as a two time Jr. National Champion. She particularly shines on bars and beam but is also great on vault. Though Kyla can hold her own in the all-around and on vault in most places, she comes in fourth in the all around and fifth on vault on this team. She will be competing bars and beam in the Prelims and undoubtedly in the Team Finals. She will be hoping to qualify for event finals on those two events as well. 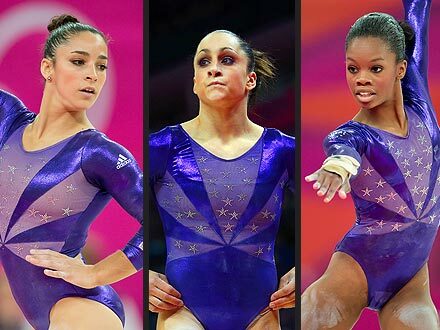 This year could be one of the most exciting years in gymnastics history. Make sure and tune in!